Meet with top business moguls in Las Vegas who work for companies like MGM Resorts International and Caesars License Company LLC. 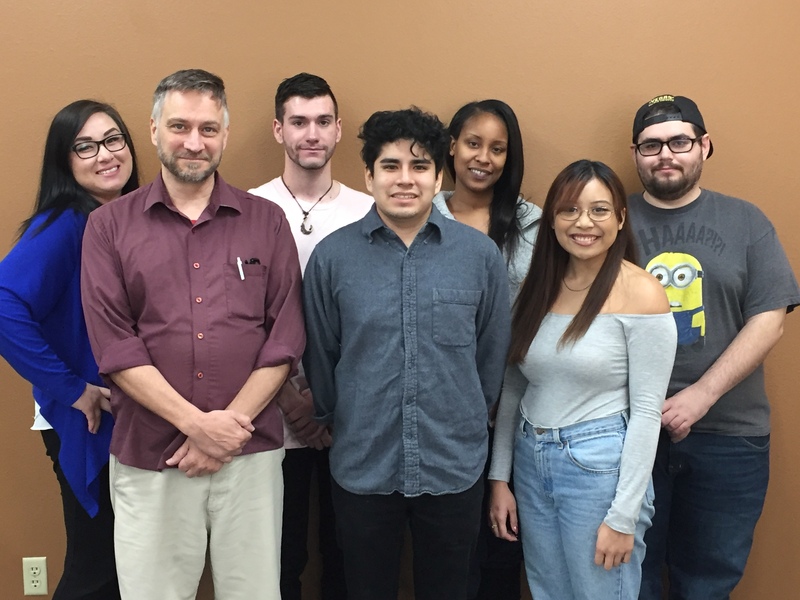 Students pursing business degrees at the College of Southern Nevada have an opportunity to build their portfolios, resumes, and networks through an organization on campus called Future Business Leaders of America. FBLA has career-development programs with a goal of helping students in their entrepreneurial pursuits. “I could really use some help with my clothing business. So far they have helped me complete a resume and cover letter,” said Ikea Scales, a student at CSN and member of FBLA. The organization helps students gain contacts and connections with large businesses in the valley. The students visit and tour companies, meet with executives, and learn about their operations. Most FBLA students want to start their own companies. “FBLA will allow students to obtain lucrative jobs and start their own business,” said Kevin Raiford, business professor at CSN. Martial-arts studio owner Jason Brings, who is also a student at CSN, was part of the organization’s launch team. Five students were inspired by their own business interests to start a support group at the College to help other students learn about the professional environment, make contacts, and make a plan to start their own companies. “Since I’ve joined FBLA, I’ve learned how some of the most successful businesses in Las Vegas have succeeded. I’ve gained a new managerial perspective and I’ve acquired powerful techniques to improve every aspect of my decision making ability. In addition to this, FBLA has allowed me to network. I’ve met people that have my same ambitions and the same obstacles to overcome that I do. To me, that’s even more valuable than knowledge,” Brings said. “FBLA is an exceptional organization because our members are exceptional. They inspire and educate me constantly, and I encourage everyone with a true passion for success to join us. I guarantee that you won’t be disappointed,” Brings said. More and more college students are taking chances and starting their own businesses. CSN students can start their own businesses even before finishing school. FBLA can help guide and instruct them on how to do so. Join FBLA by contacting Faculty Advisor Thomas Jackson at fbla_csn@yahoo.com.